William Penn’s desire to create a colony with the freedom of religion drew many persecuted groups to Pennsylvania. 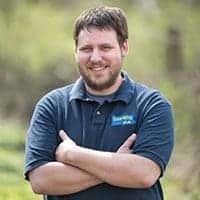 Some are well-known today, such as the Amish, while others have been largely forgotten, such as those at Ephrata Cloister. However, there’s one group that isn’t often thought about, yet still exists throughout the state: the Moravians. The first Moravians came to the colonies in 1735, and they established four communities in Pennsylvania: Nazareth, Bethlehem, Emmaus, and Lititz. 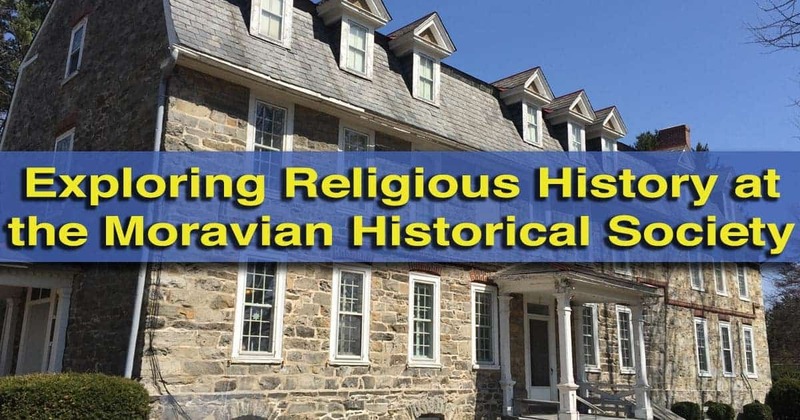 Those wanting to learn more about this religious group can visit the Museum of the Moravian Historical Society in Nazareth, PA. The museum is located in Whitefield House. Construction of the building began in 1740 as a school for orphaned slaves. Moravians were hired to build the building, but stopped work due to theological disputes with George Whitefield, the owner for the project. Eventually, the Moravians would purchase 5,000 acres around the home. 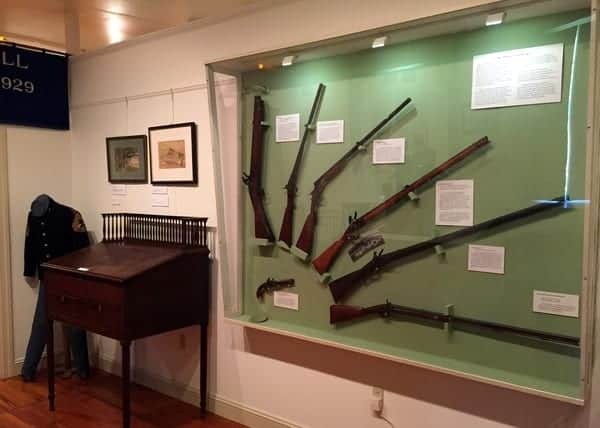 Displays inside the Moravian Historical Society Museum. The home was eventually completed in 1743 and became housing for Moravian couples immigrating to the colonies. During its nearly three centuries of existence, the building has been used as housing, a theological seminary, a boarding school, a church, and now, a museum. 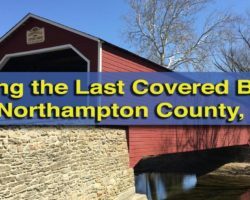 Visitors to the museum can take a self-guided tour of this historic structure and see displays related to the history and beliefs of the Moravians. The Moravian Historical Society has been collecting artifacts since 1857, making them the third oldest historical society in Pennsylvania. 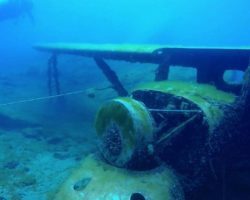 This long tradition has allowed them to create a museum filled with fascinating pieces. The downstairs area is home to a gift shop and the museum’s temporary exhibitions. Upstairs, the museum’s permanent displays are housed. 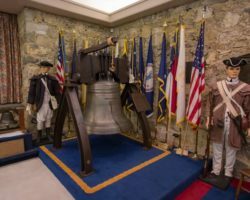 The permanent displays tell the story of the Moravian’s history including their founding in Europe, their immigration to the United States, and how they have spread throughout the world. Inside the museum, there is a recreated Moravian Saal, or worship space. However, the main focus is on the Pennsylvania settlements and how Moravians lived, worked, and worshipped in them. 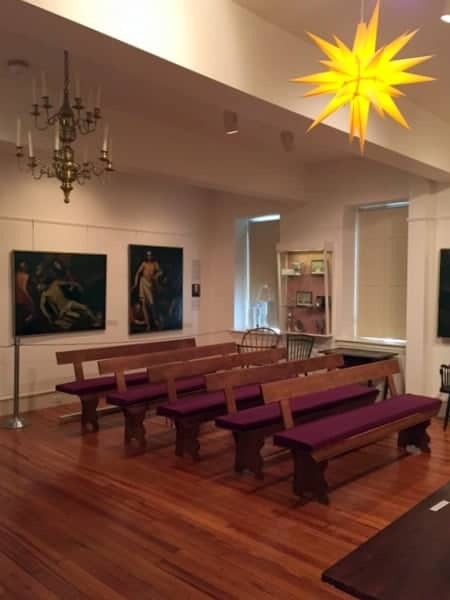 The centerpiece of the museum is a recreated Moravian Saal, or worship room. This room is very basic in nature, including plain benches. However, hanging above them is a well-known Moravian star. The museum also features a great collection of Moravian furniture and musical instruments. The items on display include the Antes-violin, the earliest-known violin made in the colonies, a guitar made at the nearby C.F. Martin Guitar factory, and a pipe organ made in 1776. In addition to the instruments, there are also many pieces of Moravian furniture made in Pennsylvania during the 18th and 19th centuries. 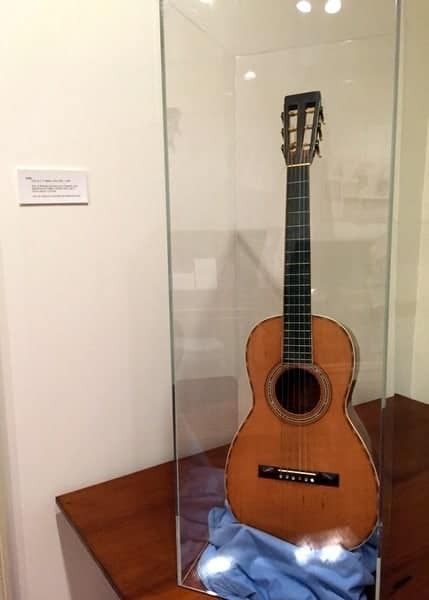 A mid-19th century Martin guitar on display. The final section of the museum showcases artifacts from around the world. These pieces tell the story of the countries where the Moravians have church congregations. It’s interesting to see a small bit of information about a variety of countries from all throughout the world in one location. Before leaving the grounds of the museum, take a minute to check out the Grey Cottage next door to the museum. This building was built in 1740 and is the oldest Moravian building in the Americas. 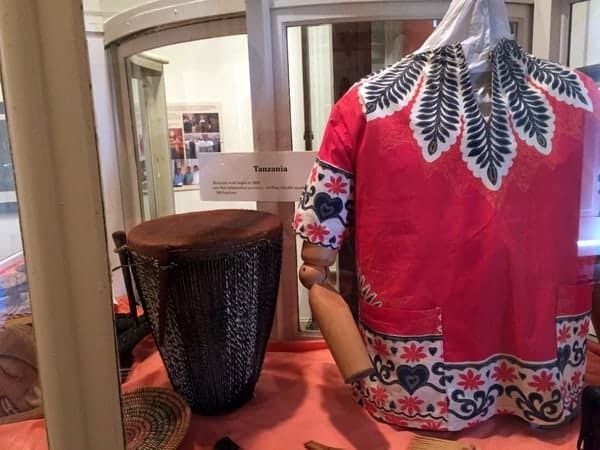 African artifacts on display showcase the reach of the Moravian Church. 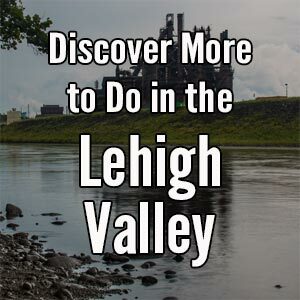 Overall, the Moravian Historical Society Museum in the Lehigh Valley is an interesting stop for those wanting to learn more about Pennsylvania’s history. It’s a great way to spend a bit of time, especially if you are already in Nazareth to take a tour of the Martin Guitar factory. It’s also a great destination if you want to learn more about Pennsylvania’s religious heritage. 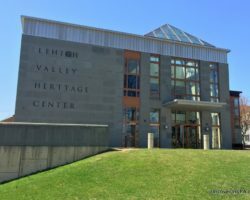 You can also learn about the region’s history at the Lehigh Valley Heritage Center in Allentown. 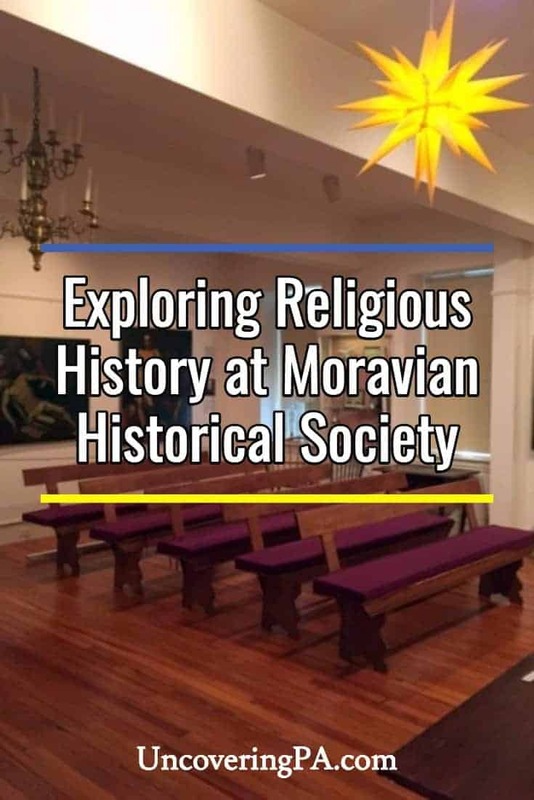 Note: My visit to the Moravian Historical Society Museum was hosted by the site. However, the opinions expressed are my own. Address: 214 E. Center St.